Gordon Food Service is a multi-billion dollar family food service business that provides restaurant, institutional and retail food distribution from Canada to Florida and west to Texas. GFS makes its home in our town, Grand Rapids, Michigan. Every year, GFS does something unique to any industry. 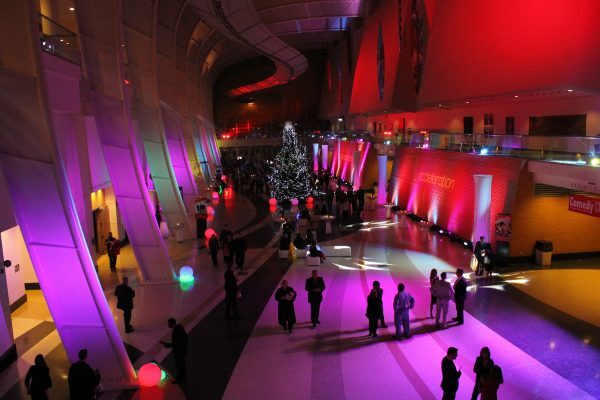 The first weekend of December, every GFS employee is invited to an annual meeting and entertainment event. GFS holds departmental meetings in the afternoon, then serves a multi-course dinner, and provides national entertainment following dinner. We call it, “meetings, dinner and a show for 5000” (this year the actual total was 5800). KBOgroup provides end-to-end stage production, décor, hospitality, and catering integration for eight meetings, sit down dinner and four entertainment venues. We also support a large retail store, lobby gathering, registration and late night snack. KBO has been Gordon’s trusted partner for over fifteen years to make this spectacular event a new reality, year after year. Copyright © 2017 KBOgroup, Incorporated. All rights reserved. We love our work. And you'll love working with us.